Akane is despondent over the failure of her latest plan and stops sending kaiju to attack the city, leaving the Gridman Alliance to wonder what has happened. We’re getting down to the business end of the season now, and though I’ve been enjoying Gridman‘s ongoing plotlines it’s about the time we need to start delivering tangible resolution on them. This episode does that on a few levels – though not without opening up some mysteries of its own – and feels like the push into the final chapter of the story being told. As a standalone episode I don’t think it’s quite as strong as some we’ve seen in the past, but that’s excusable given it’s mostly here to set up, rather than pay off. It’s the final deep breath before the plunge. The main focus of this installment is Akane’s increasingly rapid mental breakdown, and the consequences it’s having on the world of Gridman. Her opening dream of all the people she’s killed is a slightly cliched but highly effective way of communicating how paranoia (and guilt?) are catching up with her, and her deranged state is brilliantly articulated through the monster of this episode. On the outside it’s a cheap, run-down looking minimum-effort affair, but inside it’s a seething, crazed beserker, lashing out with unrestrained ferocity at everything in its path, friend and foe alike. You don’t need too much effort to spot the obvious parallel with its creator here. Akane herself is portrayed as morose and almost non-communicative, barely engaging with the action until her burst of savagery at the end, just like her kaiju emerging from its shell. It’s a tremendous scene, combining the shock of the main villain showing up in the previously sancrosact home base with brief but chilling dialogue and a moment of visceral violence that’s far removed from the series’s normal large scale battles. Obviously intended to parallel Akane’s descent into madness is Anti finally deciding to align himself with Gridman, and his subsequent transformation into Gridknight. It’s a strong resolution that’s anchored really well by the key scene (presented in two parts) where he finally manages to pin down Akane and ask her questions about the nature of his existence. I really appreciate what they’ve tried to do with Anti’s story over the episode’s he’s appeared in, but I’m also a little disappointed that they concluded (for now at least) his emotional development like this. The stuff we do get is very well written but I still feel that the pivot from Gridman-hating-fanatic to reluctant ally happens a bit fast. This is an area where the truncated run of twelve episodes hurts the story a bit. In an ideal world there would be a little more time between Anti and Akane’s conversation and Anti’s change of heart, but for the sake of expediency both of those things have to happen in this one episode. My hope is we get some decent followup character stuff with Anti and he doesn’t just slip comfortably into the team. One thing which really appealed to me about this episode is that, with the kaiju absent for a period, we get a slightly more relaxed, slice-of-life segment which likely deliberately echoes the slower, more contemplative style of the opening episodes of the show. 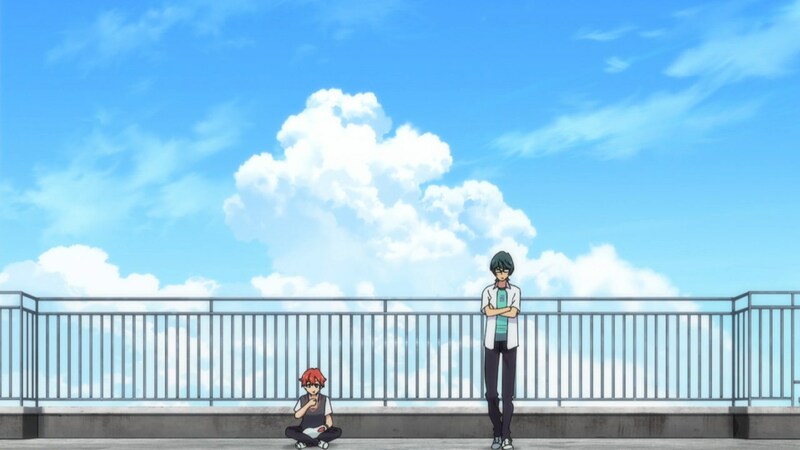 Stuff like Sho being concerned for his exams, or the return of the signature rooftop-and-sky visual remind us that mundanity and everyday life have often been the series’s strength. I’ve also got to shout out the battle animation in this episode, which is even better than the high standard we’ve come to expect from the show. All along we’ve praised the excellent integration of CGI and traditional animation and it lends and incredible speed and flow to the battle between Gridman, Gridknight and the kaiju. There’s some great directorial choices as well in the brutal beatdown on Gridman immediately beforehand, which is more violent and graphic than we usually expect and all the more effective for it. With another fine installment, Gridman sets itself up well for a barnstorming finale. At this point the key thing will be how well it can answer the unresolved questions about the nature of its world and the existence of the characters. GIven how well written and articulated the rest of the show has been, I’ve got no reason to fear disappointment, and I think this week’s chunk only reinforced that confidence. Very smart directing in the final scene, including the decision to cut to black the very moment the bloody blade is revealed, which increases the shock value. I appreciate the credits ‘evolving’ to include Full Powered Gridman, which is a very tokusatsu thing to do. 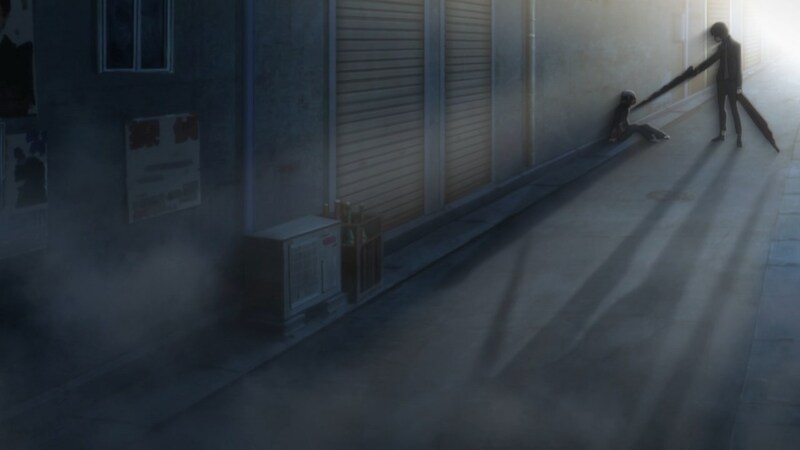 The superb sight gag involving the crew walking to Akane’s house is perhaps the most I’ve laughed at an anime in ages. 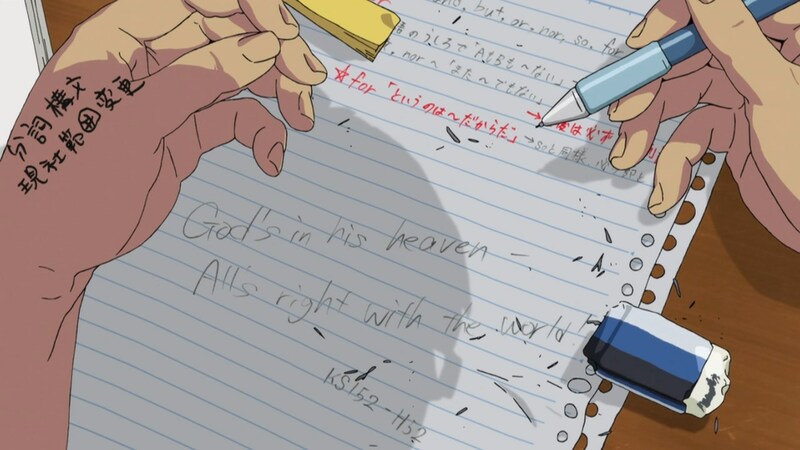 One of the things Sho has scrawled in his revision notebook is the phrase “God’s in his heaven, All’s right with the world”, which was the motto of the NERV organisation in Neon Genesis Evangelion. If last week was Gridman displaying its ability to play with toku tropes in interesting and experimental ways, this week is all about Gridman showing how good it can be even when playing it straight. I’ve always personally believed that the best subversions in media come from deep places of love and appreciation on the part of its creators. You can only break something when you know how to build it. Shows like Dai-Guard, Gurren Lagann, and even Evangelion, regardless of their eventual conclusion on the validity of the mecha genre, come from an earnest appreciation for the genre itself. Gridman proves that with this episode acting as a fantastic counterweight to last week’s, giving us the bombastic fight we’ve been waiting for, but still throwing in just enough twists to keep it wholly fresh. Anti and Akane themselves are something of an interesting contrast this week as the primary theme seems to be about villains coming to terms with their narrative roles. Akane’s dialogue about how kaiju are intrinsically mindless creatures, incapable of understanding people’s feelings and existing solely for the hollow destruction of those around them is almost a confession on her part that at this point in the story, Akane feels more like a kaiju than a person. Meanwhile, Anti’s own personal realizations of his sense of self come to a satisfying climax this week with the transformation of his traditional kaiju form into the new and improved Gridknight. If Akane represents the philosophy that we can’t change who we are, Anti represents everyone’s intrinsic capability to change in the face of our circumstances. Even better, it’s represented through a cool kaiju fight, so you know this is still a toku story at its core. 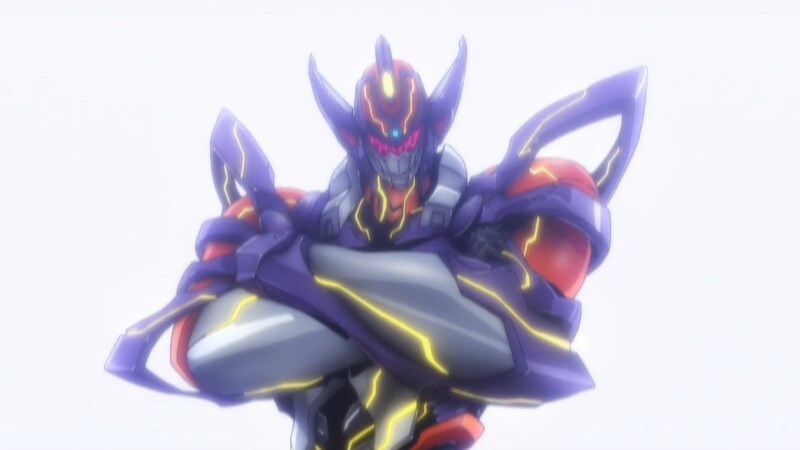 The bad guy eventually changes sides after some important character development is nothing new, but Gridman makes it work so well because they were willing to put the time into Anti as a character and the result is ultimately satisfying. And what a fight it is. Lot of props to the animators this week in their fantastic presentation of the creepy kaiju Gridman and Gridknight face off against. It’s a truly fantastic monster in general, from its initial appearance as a rubber suit monster to the unnerving reveal of what exactly was underneath that exterior. 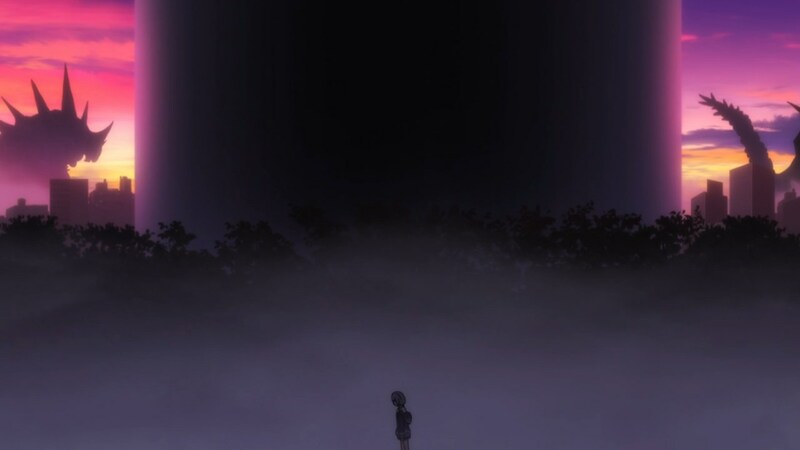 The way it moved, the sounds it made, even down to its distinct laser attacks, definitely make this probably the episode of Gridman most explicit about its Evangelion inspirations. It works wonderfully as a contrast to the traditionally toku inspired Gridman, still playing by the old rules that don’t apply anymore. It’s fights like these that show how CG in anime can be effectively used compared to 90% of the time it’s (poorly) utilized. And at its core, episode 10 is a wonderful companion to episode 9 as a miniature encapsulation of what makes Gridman as a show work so well. Both episodes present interesting subversions to the toku formula without actively trying to deconstruct it. If you break down the plot points, Gridman isn’t actually that different from other shows in its genre. 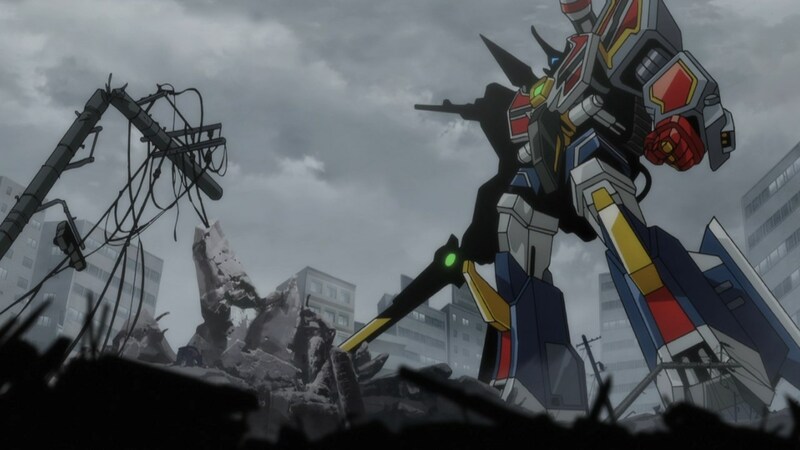 As I mentioned last week, to call it a deconstruction would be an insult to the grand lineage Gridman owes its dues to. What Gridman actually does so effectively is take those fundamental concepts and essentially gives them a new coat of paint and shoots them with a different camera lens. Gridman is still a toku story at its core, but what it actually does so uniquely is the way it’s presented, animated, and shot. It’s still a show made by people who deeply love the genre and in many ways, that’s the secret sauce to Gridman’s success. ← The GLORIO Chat Episode 26: Is Satan a Bad Dude?